I love that Father’s Day is after Mother’s Day; that way, Sanj can be certain of what kind of present he’s getting. Hehe, just kidding. We actually have an agreement that we do something more sentimental for holidays. Usually, if we give a present, we make something else from the kids. 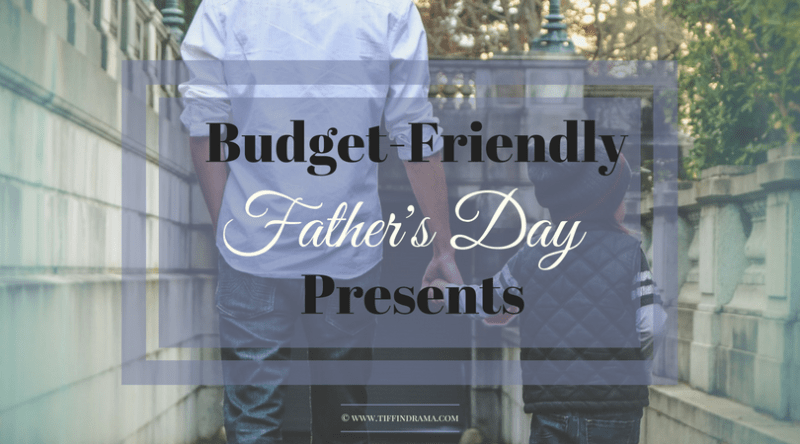 That’s why this week I’m going over the best budget-friendly presents I’ve given Sanj and the funnest kids DIY crafts for Father’s Day. It’s seriously some of the best things! 1. 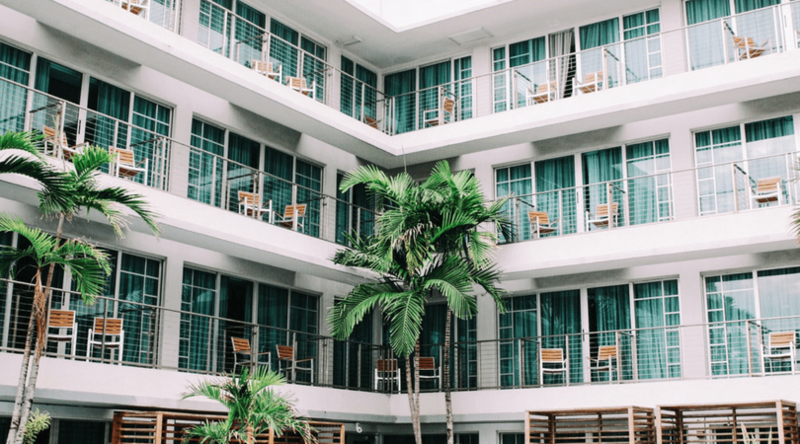 Have you heard about Put Me in the Story? You can add pictures of your kids and customize stories as presents for them or others. This father’s day, you can give Dad and personalized book from the kids! If you’re a new customer, you can save 10% off of your first personalized story! It’s perfect for all ages because there is one for older kids so daughter or son can customize this present for Father’s Day. They also have more baby books that are customizable Father’s Day. 2. 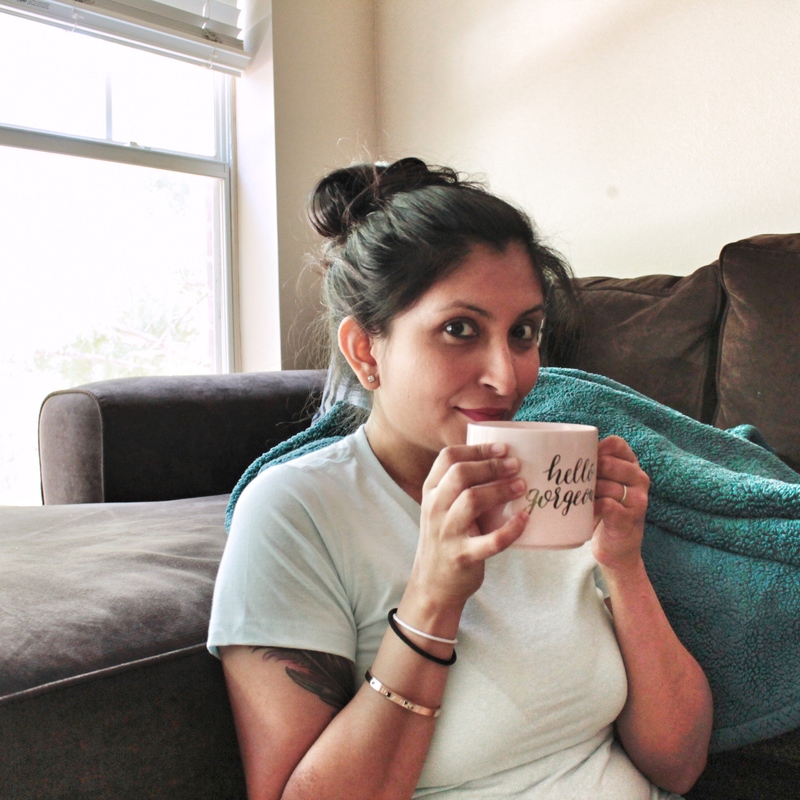 Soooo we have twins and while they are in fact, sleeping through the night, there are nights, especially now that they’re teething, that they wake up once in a while. Instead of searching the bed, under the pillow, and sometimes the floor for our phones to check the time, we just look up at the ceiling. We bought this clock during Amazon’s Black Friday sale and to be honest, I gave Sanj the look. Like, you can’t just get up and look at the time? And now that we have it, I’m so used to looking up at the ceiling for the time! Go figure! It’s one of those necessary things that you don’t realize how necessary it is until you have it. Anyway, it’s on my list because if the dad in your life is anything like Sanj (and apparently me), then you need to order this! 3. Does the father in your life love a good shave? Sanj prefers to use Derby blades and Merkur 34C (open comb) to give himself the old-school shave. 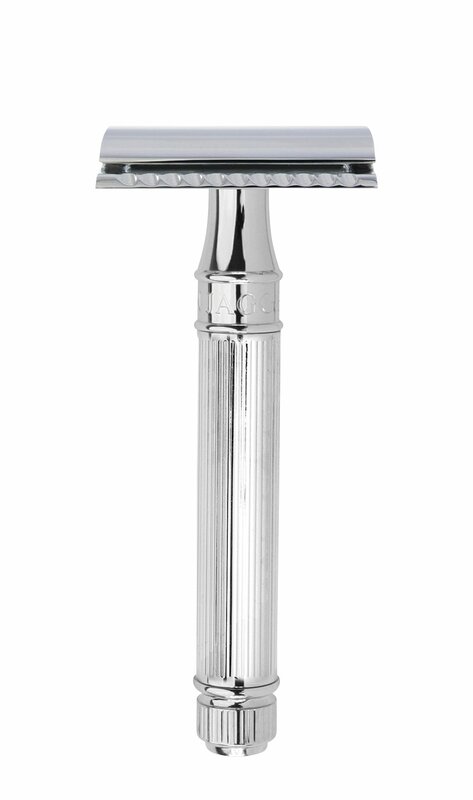 The Edwin Jagger razor is his personal favorite! 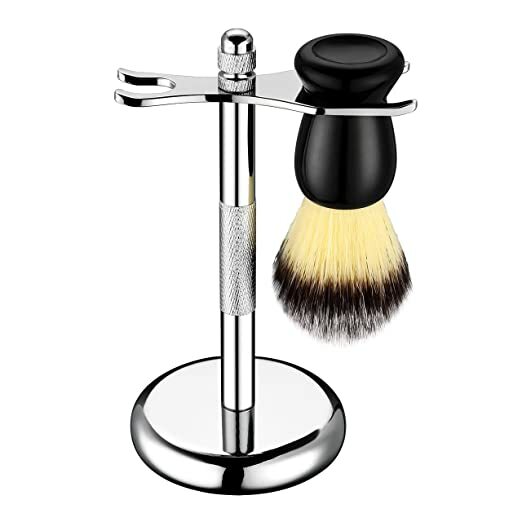 He uses the ElleSye Shaving Brush and Razor Set along with the Sandalwood Shaving Cream. I gave this to him for a Christmas stocking stuffer a few years ago and he’s still in love. 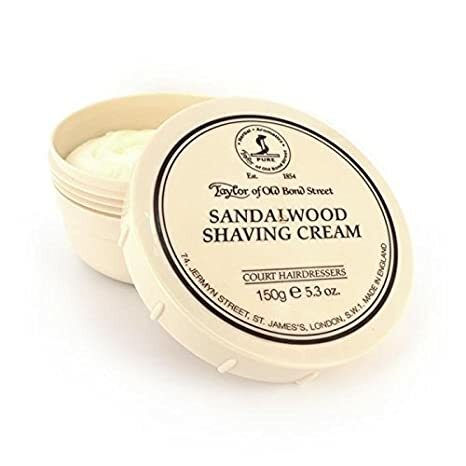 If you’re familiar with sandalwood scent, you know how nice it smells! Well, this stuff is the real deal. He can go the whole day, running errands, exercising eating pizza and he still smells amazingly! There are a whole bunch that we just love. And this one, which is my absolute fave because it looks so nice with a crisp blue suit and tan shoes! 5. Do you have a dad in your life that is striving to be a photographer? Does he always bring his camera when you go out on the weekends? 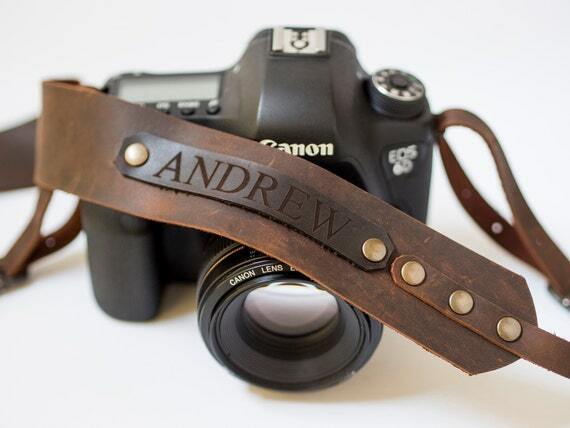 If so, I think he’d definitely love this Personalized Leather Camera Strap. It works on Canon and Nikon cameras, and can be personalized for up to 15 letters. 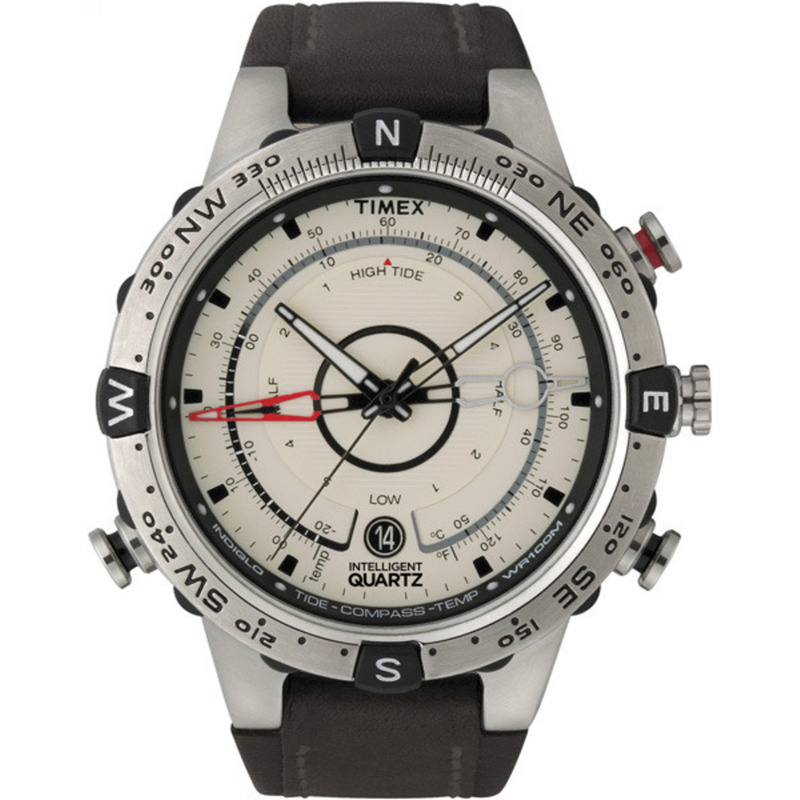 It’s made from durable cowhide so you know it’s soft and won’t hurt the neck from long wear. Who knows how that feels?! 6. To be honest, my husband doesn’t need another wallet but I found this money clip absolutely adorable and hilarious. Funny story: My daughter was born with one hand coming out first, as if she was reaching for something. The doctor delivering me cracked a joke, “Look at that, she’s reaching for your wallet already!” I promise that I was laughing on the inside. 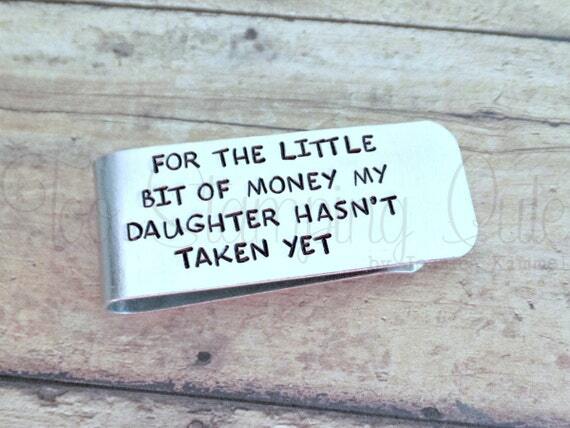 Anyway, you can obviously get this engraved to say what you want, but I think it’s hilarious the way it is, especially if you have a teenage daughter or a daughter in college. 7. Did you play with Legos growing up?! My husband loves Legos so much, he refuses to let any copy-cat brands come in to the house. Kind of funny, actually. That’s why I got him these customized Lego cufflinks. I ended up asking Ian for Pink/White/Purple combo because every Wednesday, we wear pink; and I thought this would be a perfect little touch of pink! If you message him, he’s more than willing to work with you on whatever color combos you want. 8. 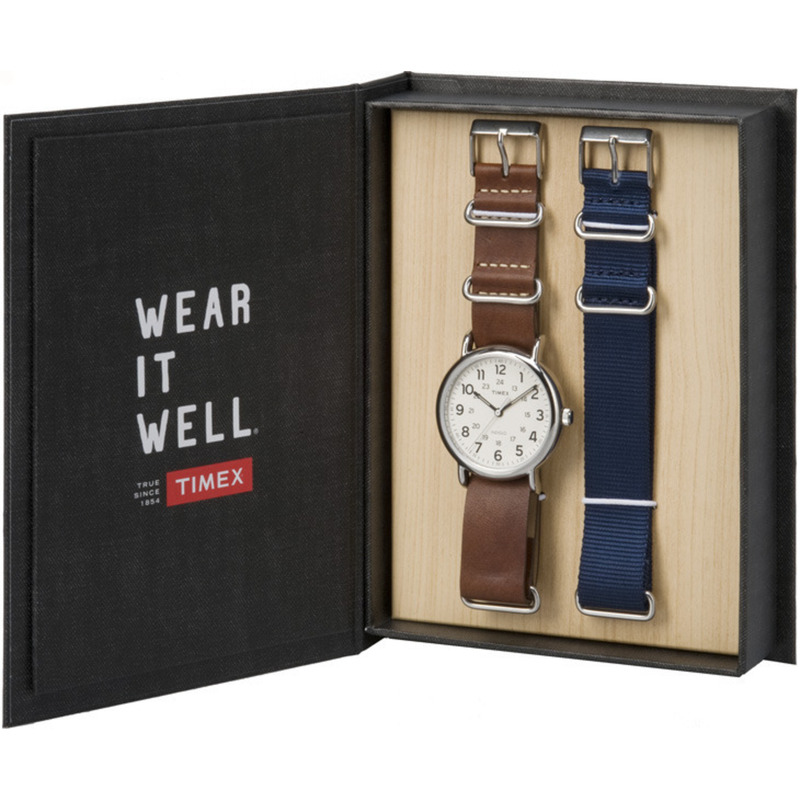 This is advertised as a Groomsmen gift, but really, it works well for any man. I gave this as a Father’s Day present to Sanjay for his first Father’s Day. 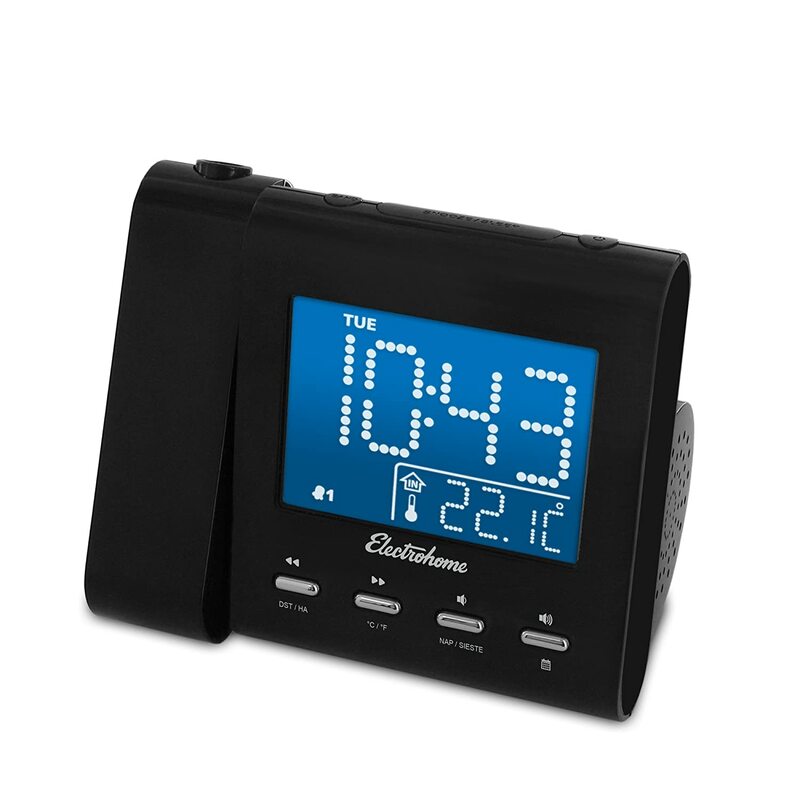 He uses it when traveling for business or any overnight trips we have. It’s enough to fit his toiletries (avoid any leaky ones!) and still not take up any space in his suitcase or even book bag if we are traveling light! To be honest, it is better in person than in those pictures! We got the Original Cognac color with his initials monogrammed. Ty was really good with me about expedited shipping (oops on that last minute purchase!) so he does offer that if you need! And we have never had a problem with it at all, but Ty will give you a life-time warranty with all his merchandise. That’s how awesome he and his products are! 9. There’s nothing I love more than my husband is a well-fitted suit. That’s why I’m looking to Men’s Wearhouse for ideas on what summer styles works for Sanj. They’re offering $20 OFF your in-store purchase of $100 or more. Valid through 1/31/18. For all online orders, however, they’re offering Free Shipping and Returns on $99+ ! 10. What if you didn’t want to get dad just one present? What if you wanted to get him a bundle? Well, ask and ye shall receive! 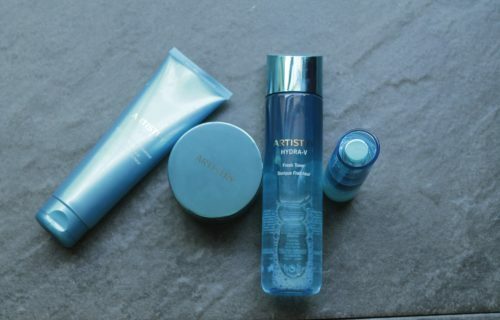 The Artistry Men Just for Dad Bundle is just what Dad needs right now: it includes a handsome tote bag, a one month’s supply of Nutrilite men’s multivitamins and Artistry Men Serum Concentrate. These are such great ideas! I love the mix of all different kinds of gifts too. Great post! I love this! I have to get the legos and the money clip for my hubby this year. I was struggling to find what to get him but now I know! These are awesome! I love these gift ideas! Personalizations are to me the best way to make a gift EXTRA special. 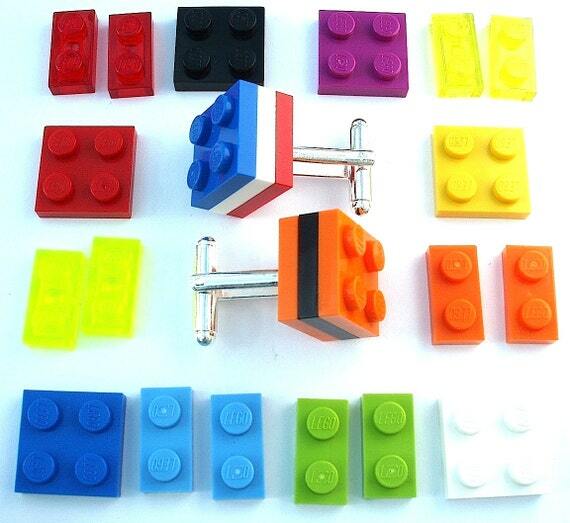 I’m a fan of those lego cufflinks, why can’t I wear cufflinks! These are fab ideas. I think my husband would love to get those cufflinks. I also like the leather strap for the camera. My hubby would love that! Budget friendly gifts are great! Great list! I love the personalized camera strap. I didn’t even know that existed before I read your post. Shave kits are a big deal in our house, too. 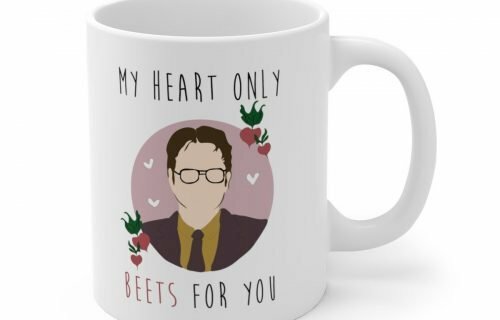 Great unique gift ideas! There is definitely something for everyone here, even my husband who is impossible to buy for! I love all of these! The personalized camera strap is really awesome, I never would have thought of that. These all seem like nice gifts but what your man really needs are keys to a brand new motorcycle! Just kidding ladies any of these gifts would have me in to say awe thanks, babe! I love the book idea! That is so cute and creative! My husband would love the watch and camera strap. These are great ideas! 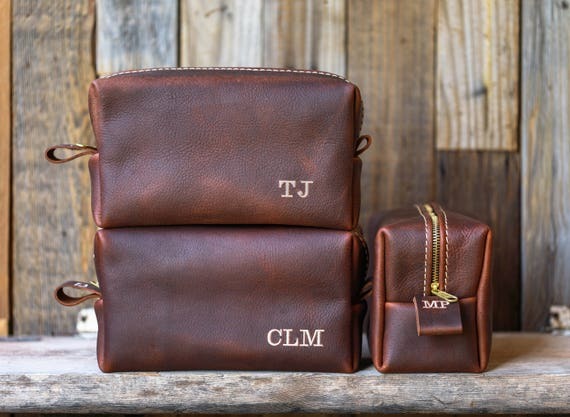 I love the personalization of the toiletry bags and the camera strap! I love the money clip. Great gift ideas! These are great ideas for dad! Those lego cuff links are hilarious! These are all such cute ideas! My dad famously says, “Don’t get me any gifts, you are enough,” but I know if we didn’t get him anything, that wouldn’t go over well 🙂 Thank you for sharing these! These are really great gift ideas. Some I never would have even thought about if not for your post. Thanks for sharing! Great ideas. Thanks so much for the help!! !